Free Shuttle service available for your convenience. We Accept Most All Extended Warranties..
We Service MERCEDES, BMW, Lexus & Other Luxury Brands. Benz By Blair has been the intelligent dealer service alternative in automotive repair in Houston, TX for the past 27 years. We perform top-notch quality service for Mercedes, BMW, European & all other luxury brands by using original manufacturer's diagnostic computer equipment at one of the lowest costs, especially when compared to the dealer. We have on-line access to manufacturer's service, technical, and recall bulletins. Our services are backed by our solid Mercedes, BMW, European & all other luxury brand repair experience, second to none, combined with our experienced management staff, factory trained ASE, and BOSCH certified technicians. We offer over a century of experience in the service and repair / customer service industry. We offer a faster completion and return of one's vehicle than auto dealers. This is achieved by offering personalized one-on-one customer service by exceeding our customer's expectations. We treat our customers as if they are family with unequaled personal and friendly service. We appreciate your time viewing our website. Please see our links page for common, useful vehicle information. Contact us via email or by phone to schedule an appointment or if you have any questions. Saturday & Sunday: Please use our 24-hour key drop box. **All discounts/specials not valid with any other offer/coupon & can not be combined with any discount given on the phone or in person. **with repairs of $275.00 or more. ***with repairs/service over $599.99 or more for 1 day only. Free wrecker service within 15 mile radius. *Subject to approval & limit, based on your credit & other factors.
. Auto Detailing and Headlight Restoration. Copyright © 2019. Benz By Blair. All Rights Reserved. BENZ BY BLAIR is not affiliated with Daimler Chrysler. 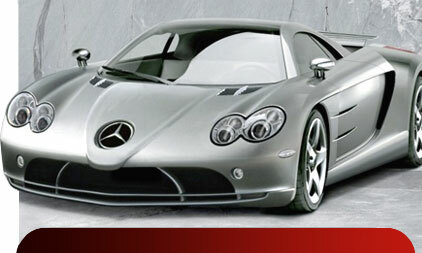 MERCEDES BENZ is the legal trade name of Daimler Chrysler and is used her for descriptive purposes only.